The apparition of a child in a striped shirt has been seen at night running underneath Colossus. Cold spots and an eerie presences have been felt here as well, as well as the sounds of rides and machinery working when the park is closed. Rumor has it that a roller coaster attendant was crushed and dragged to her death. Some employees claim to have heard her ghostly screams and seen her apparition late at night. actually it was on scream, she was walking on the track when she wasn’t supposed too. That boy in the striped shirt was a boy who kept hopping the fence during the night, they eventually caught him and he’s no longer aloud on six flags property. No.. it was revolution… like in 1996 I remember that being on the news…..
Yes….Kari it was scream and revolution. Google it. They are both true. I worked on Spin Out back in 2001 by myself. There was an old abandoned ride with an escalator that was closed for many years and overgrown. I would often be visited by a young girl with long black hair wearing a white cloth dress, usually on top of the abandoned ride. I would go about my business, but she would still be there waiting for me. Would warn me that people were coming… I had to climb and down a ladder to see anyone, but every time she was right! She talked about how she was killed by her uncle. As a six flags worker, the death incedent was at scream. Sadly the girl was beheaded. I work near scream and at night when were closing i totally can hear her around there. As for revolution, I didnt see record of that when I was going through the stuff with one of my bosses. But there is alot of strage stuff that goes on. How old are you? You must be young because the there was a girl who worked at Six Flags at Revolution and she was killed by the ride as she walked onto the tracks back in 1996. I remember very well, because I was in Jr. High at the time that it was in the newspaper. The older crowd will know of the incident for sure. My co-workers tell me at night after revolution is closed, they would be cleaning up and hear screams of a woman in the station. I worked there for a little while but I had never experienced anything although I still hear stories from my co-workers. Also I heard the sky tower is haunted too, people have seen a girl waving in the window. 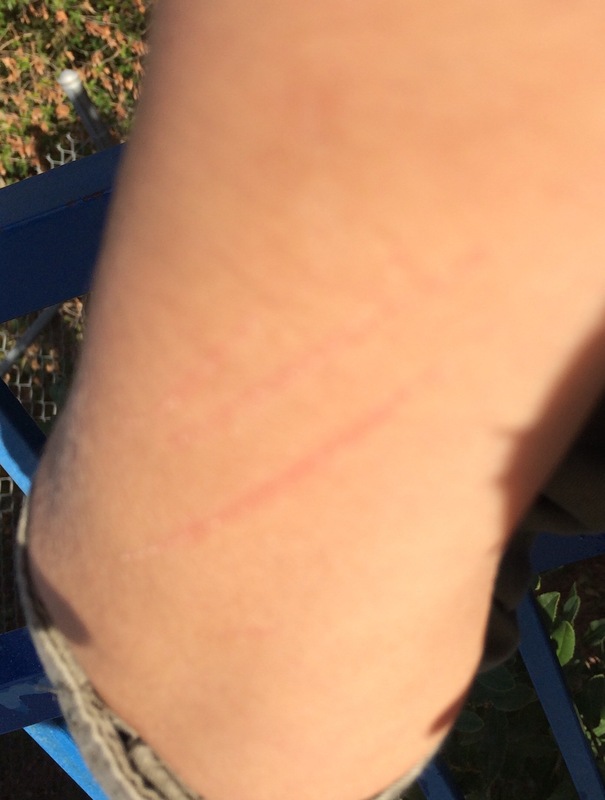 At the Superman ride, I was waiting in line when I felt a burning sensation on my arm, so I rolled up my sleeve and there were very new scratch marks there. I know for a fact that I did not rub against anything or scratch my arm.